I grew up in Glendora, CA where I worked at a small animal hospital in Covina over the summers while going to UCSD for a bachelor degree in general biology. While working with Dr. Gerry I fell in love with veterinary medicine and became a member of the first class to receive a Veterinary degree from Western University of Health Sciences. During my time as a veterinary student, I was introduced to Dr. Carpenter who became my mentor. I was happy to take a position at Newport Harbor Animal Hospital in 2007 and have never looked back. Newport Harbor Animal Hospital has been a great home for me. I enjoy working with an excellent staff and continue to develop my interest in cardiology. In carrying on the mentoring tradition, I feel strongly about building a strong next generation of veterinarians. To this end, Newport Harbor Animal Hospital is a place where veterinary students from Western University come to learn veterinary medicine. I was proud to accept the award for 'Preceptor of the Year' in 2018. I was thrilled to take over the business with Dr. Wind in 2016 and carry on the extraordinary care that Newport Harbor provides to our clients and community - and has since 1947! When I get a chance, I enjoy fly fishing with my family and taking my daughter on hikes with my wife. My three dogs also keep me on my toes! Often, on my outdoor excursions I will take some time to take photographs of nature. Having played soccer in college, and multiple sports growing up, I am a big sports fan and enjoy watching sports. 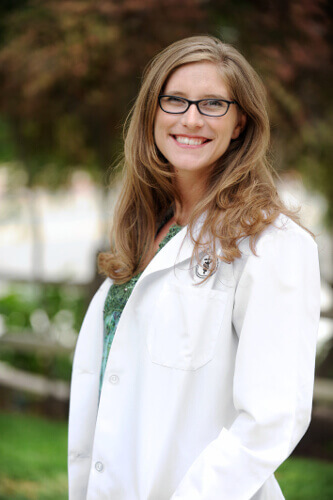 Dr. Ashbran is a member of AVMA, CVMA, AAHA and VMG. He is a member of Western University of Health Sciences clinical sites board and is a Peceptor. My parents tell a story about me when I was in elementary school, telling my teacher I would grow up to be a veterinarian. I have always loved animals (to my mother's displeasure when it came to snakes!). So, it should come as no surprise as I chose veterinary medicine as my career. My passion for animal health care took me off to Calvin College where I earned my degree in Biology and then to Michigan State University, College of Veterinary Medicine where I became a doctor. I enjoyed many different aspects of veterinary medicine, so I decided to take my education a step further and entered a small animal rotating internship at Louisiana State University School of Veterinary Medicine. I have fond memories of placing an intravenous catheter in a white tiger at the Baton Rouge Zoo and doing surgery on a zebra! After the internship, I moved back to Southern California where I found Newport Harbor Animal Hospital and loved the quality of medicine and was excited for the opportunity to be a part of a top notch team. I was also proud to become the owner of such a great hospital, along with Dr. Ashbran, in 2016 and continue the exceptional care for which Newport Harbor is known. When I have some free time, I enjoy reading books and watching the birds in my garden. I also continue to work on tricks with my cat Oden - ask me how that got started! Dr. Wind is a member of AVMA, AAHA, CVMA, SCVMA and is a Clinical Preceptor for Western University of Health Sciences. I have wanted to be a veterinarian for as long as I can remember. Even before I can remember, my Mom tells me that I wandered towards any dog I saw at the park. I was always sneaking lizards, baby birds, and the occasional stray kitten home, and trying to "save" them. This goes much better since I graduated from UC Davis School of Veterinary Medicine. Having also studied James Herriot's novels (must reads if you haven't yet), I knew practicing veterinary medicine would provide me with daily variety, challenge me to continually learn, and allow me to meet interesting people and animal personalities. I love hearing stories about my patient's adventures/misadventures. I find it most rewarding helping them live long happy lives so that they have more stories to tell! 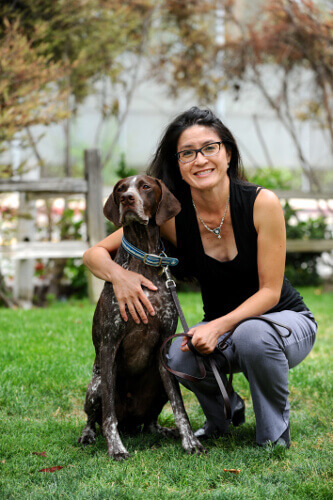 Dr. Owen has been with Newport Harbor Animal Hospital since 1997. She is a member of AVMA, AAHA and the American Board of Veterinary Practitioners. I think it had something to do with my dad saying "that girl's going to be a vet", every time he saw me light up in the presence of a dog, cat, calf, lamb, piglet, tank of fish, etc. Seriously though, it was probably a combination of influences from both my parents. My father had come from a large farm in western Canada. My mom was a pharmacist in Eastern Canada. The combination of both worlds led to a harmonious blend of science and nature. By the time, I had made it to college, I had loved two dogs and met others who shared my love of animals and medicine. One of my college professors, told me that there would be a moment that I would be listening to a lecture and it would change the way I would think. The very next day, I started developmental biology and my world changed forever. I not only knew I would become a veterinarian, but I would dedicate my career to the understanding of how we all get from a single cell to the complex beings that we are today. This is what has driven me to become a board certified theriogenologist (DACT) after I graduated from the University of Guelph with my veterinary degree. I love every day of my job. It satisfies the inquisitive scientist in me, but it also nurtures the animal lover. Who could have a better job than myself after planning a breeding, getting to see life begin on a pregnancy exam, deliver a litter of puppies and watch them grow up to fill their new owners lives with so much joy. 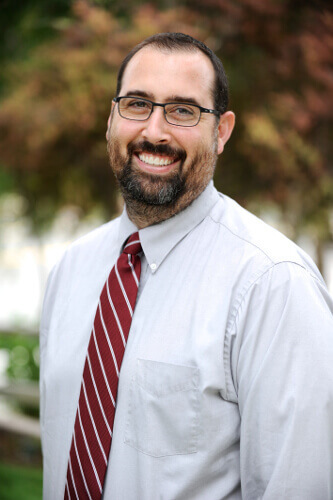 Dr. Sebzda has been with Newport Harbor Animal Hospital since 2000 and is a member of AVMA, AAHA and the American College of Theriogenologists. She is a Clinical Preceptor for veterinary students for Western University of Health Sciences. I grew up in coastal Northern California and the west coast of Canada. I was the typical teen age girl-horse crazy. I was fortunate to have a mentor who trained horses for the Queen and was stable manager for both the British and Canadian 3 day Olympics teams. She taught me about the responsibility of taking care of the animals that have been entrusted to us. It came as no surprise, I decided I wanted to become a veterinarian. I attended the University of the Pacific and UC Davis for undergraduate and then UC Davis, School of Veterinary Medicine for my DVM degree, graduating in 1983. My class was the last to have more men than women! Since graduation I have worked in Orange County, except when we moved to Connecticut for a short time. I really enjoy working at Newport Harbor Animal Hospital. One of the best things is working with other doctors who are knowledgeable , dedicated, supportive and just plain fun. We all share an office and discuss our challenging cases. I tell clients that they get 6 second opinions! I believe this greatly contributes to giving the highest quality of care for our patients. In my "spare time" I live with my husband and youngest daughter. My 3 older children are all in college or graduate school. Alas, I no longer have a horse, but have a Greyhound named Callie and 2 cats- Alton and Giada. 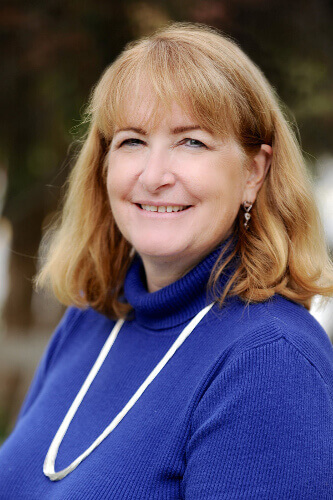 Dr. Wade is a member of: AVMA, SCVMA, AAHA, OC Coastal Puppy Raisers who train guide dogs for the blind, and volunteers at Segerstrom Center for the Performing Arts. I always have loved animals and knew from a very young age that I would be working with animals as a career. However, I didn't quite know in what capacity when I was little. I applied for a position at Newport Harbor Animal Hospital while I was in college at Cal Poly Pomona as a kennel assistant and was hired! From there, I realized that I loved veterinary medicine and stepped up into the role of veterinary assistant. I couldn't imagine doing anything else and applied to Western University of Health Sciences, College of Veterinary Medicine and was accepted. I kept up working at Newport Harbor while in school and was excited to accept the position of Veterinarian after graduation. Newport Harbor Animal Hospital has been my home in veterinary medicine since the beginning and I can't imagine being anywhere else; there is no better place! When I get a little time for myself, I enjoy hiking with my dog Loki and photographing all the interesting wildlife I encounter on my treks. I take a special interest in native California plant species and dream of my future garden of native plants. When I was young, I developed a heart for veterinary medicine after a traumatic event with one of my pet bunnies. 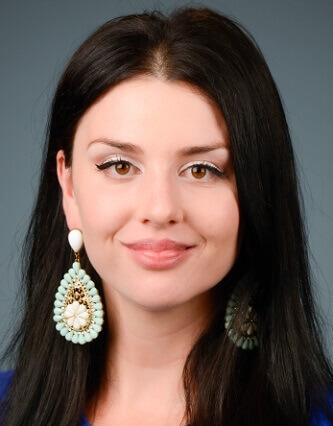 When my family influenced me to consider a different career path, I received a degree in Mathematics and Applied Science with specialization in Accounting and Management from UCLA. However, I realized that my real passion was with relieving animal suffering and health care. From there, I attended the University of Davis School of Veterinary Medicine where I developed a love for nutrition and internal medicine. Following graduation, I was drawn to Newport Harbor Animal Hospital after seeing the level of commitment to patient care by all of the staff. I love working with such a fabulous team and contributing my expertise! While I love all animals, I currently live with three cats, Gia, Leo and Roxy. When I get a chance, I love being outdoors spending time hiking, biking, paddle boarding and kayaking. I also enjoy lifting weights and trying out new vegan baking recipes. In the future, I look forward to traveling with my fiancee. Dr. Guastamacchio is a member of: AVMA, SCVMA, and AAHA.